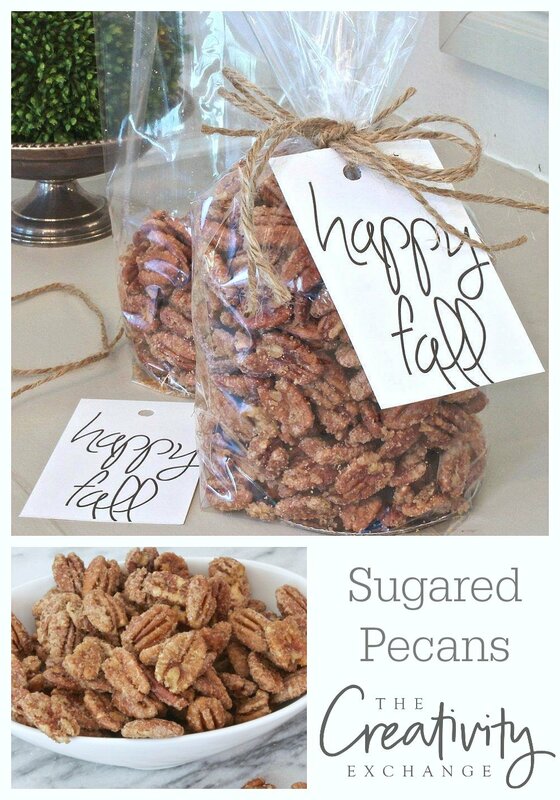 A few years ago, I shared my favorite recipe for the easiest and yummiest sugared pecans. When I first tasted these pecans many years ago, I thought for sure that they were slow roasted for a day in some special cast iron kettle because they are seriously that good (and addicting)! When I found out they were made in a microwave for five minutes, I couldn’t believe it and had to make the recipe myself. I was amazed that it worked and have been making them every fall for about 15 years. Today, I am re-sharing the recipe because I have tweaked them over the years and I also now make them three different ways (plain sugared, cinnamon and spicy). 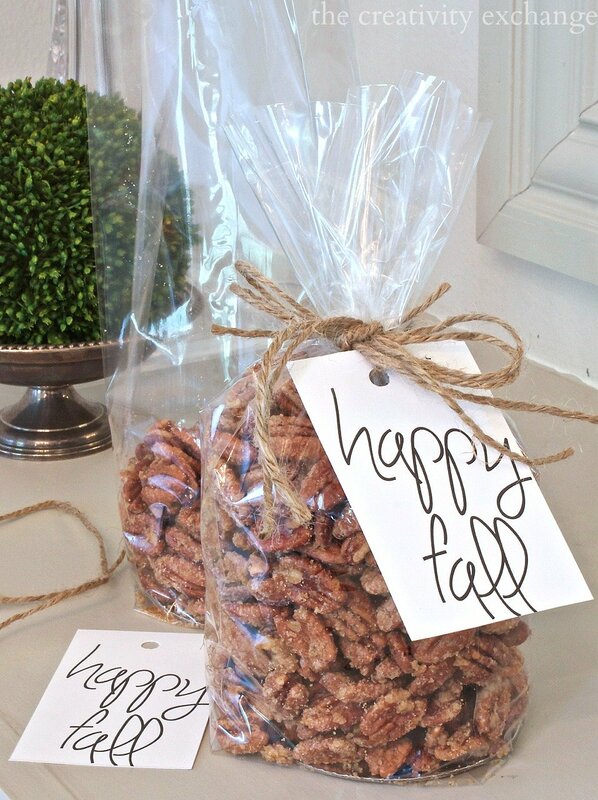 These pecans are always the one thing that I have to make each year and I crave them. 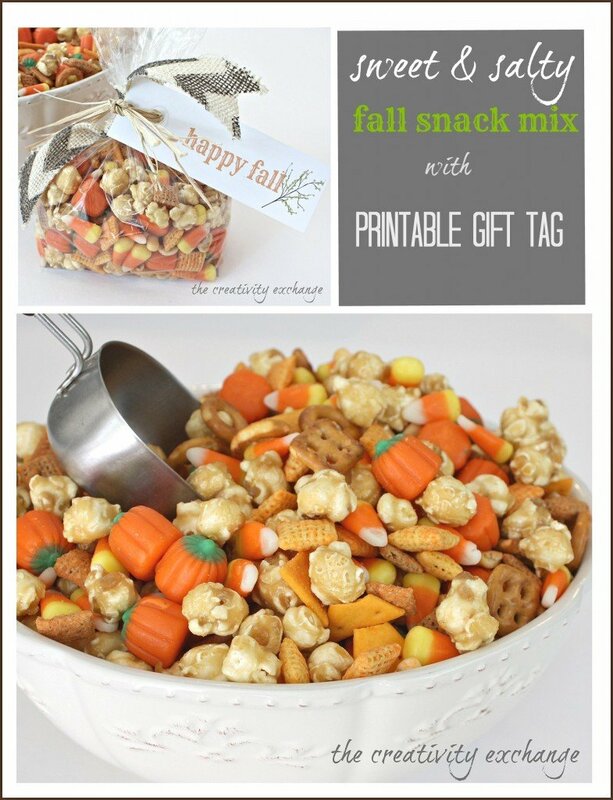 I also made a pretty free printable gift tag for all your homemade fall gift goodies. The printable gift tag comes on a standard 8.5″ x 11″ page and it has 6 tags for you to cut out on each page. It’s best to use white smooth card stock (no linen lines) and you must have Adobe Reader installed on your computer to print the sheets. 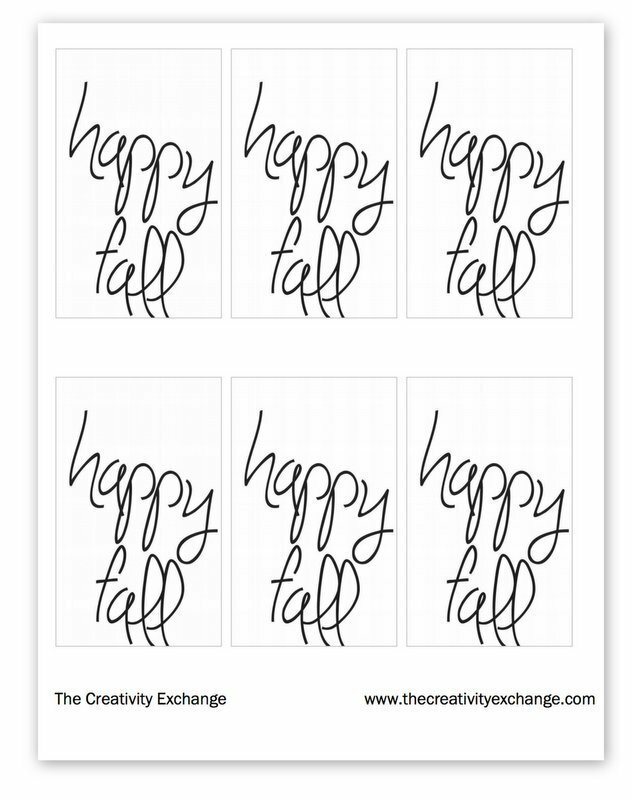 If you do not have Adobe, you can download it here free (you need this for most printables). (For cinnamon pecans, add 1/4 teaspoon of cinnamon. 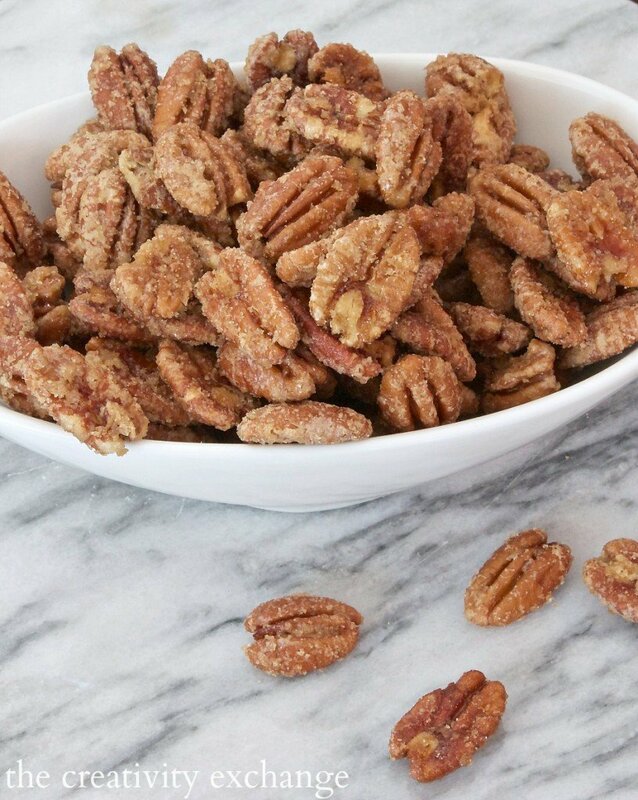 For spicy cinnamon pecans, add 1/4 teaspoon of cayenne pepper and 1/4 teaspoon cinnamon). 1) Begin by buttering a microwave safe dish. After much trial and error, I found that a 9″ glass pie pyrex pan is perfect because it’s not too deep and too shallow. 2) Mix brown sugar with orange juice and pecans. Mix for several minutes so that every pecan is coated. 3) Put mix in dish and microwave on high for 4-6 minutes (depending on how strong your microwave is) and stir every 2 minutes! (My microwave is 1100 watts and I set my microwave exactly for 5 minutes 40 seconds and I stir every two minutes). If you know your microwave is less or more than mine, you can adjust give or take 20 seconds. The sugar needs to boil but there is a fine line between boiling and burning the pecans, which is why it’s necessary to stir every 2 minutes and watch carefully. When you are done, you should see the pecans beginning to crystalize or get sandy. If your pecans are not getting sandy, you may need to add and addition 15-20 seconds. 4) When the microwave is done, immediately pour pecans onto buttered tin foil and spread evenly. 5) Allow to completely cool (about 2 hours). 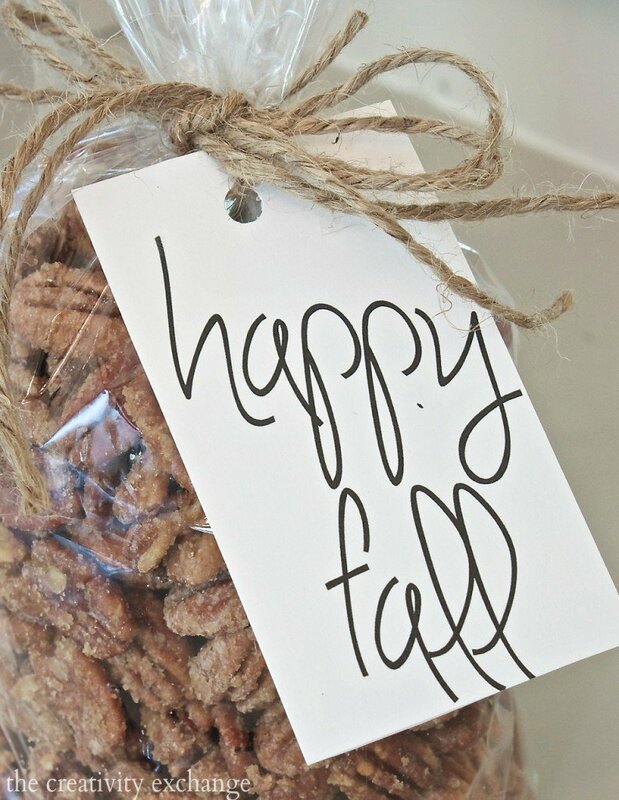 Pecans will not taste crispy and good until they completely cool down and fully crystalize. Don’t panic if they taste rubbery when you first take them out, the magic happens after about an hour. 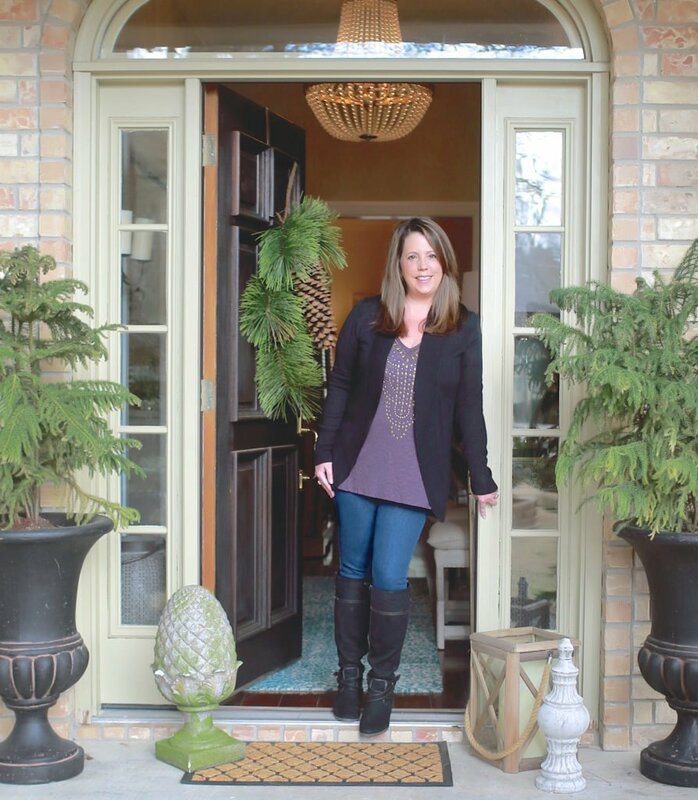 Store in air tight bags or containers. I hope you guys give this a try because they are so wonderful! Looks yummy! The tag is too cute too. Thanks for sharing it. I know what I’m doing in the morning! Anxious to try these out, thanks for the easy recipe. 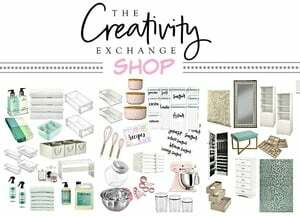 I love, love, love your creative ideas! My frustration is that I can’t save my favorites to Pinterest. I use my iPad and for some reason it won’t connect to my Pinterest account…I dony have that problem with other sites. Any ideas how to make this work? Thanks, Cyndy. I know these are delish. Can’t wait to try these out…great Christmas gifts for coworkers…thanks for sharing. Thanks so much for your note Lola! They are SO yummy! Enjoy! These sound awsome!! I am wondering if i can use almonds? Will it work the same? 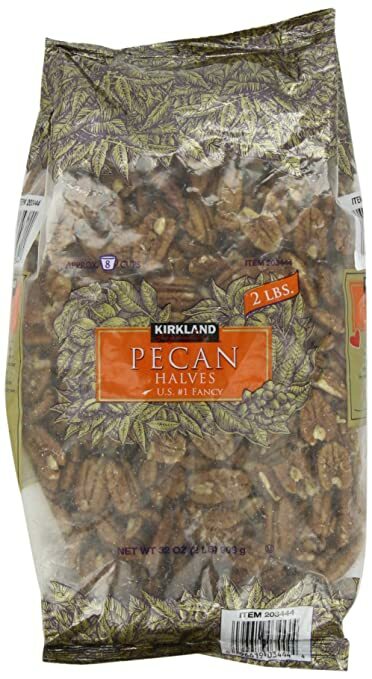 Hi, how long do these pecans last once they are made? I am thinking of preparing these for a fall baby shower and I’ll have roughly 60 guests so it will take some time to make everything. I am thinking of starting a few days ahead of the shower. Will they last? Is there a substitute for the orange juice? It’s not something I have in the house n a regular basis and hate to buy a whole quart for just 2 Tbsp. then throw out the rest! Nothing that I could recommend. I’m not clear why you would need go but a whole quart vs. just buying a small individual 6 oz one from gas station. Sorry. Not sure what else to tell you..
Could you use almonds ? Have you tried doubling or is it better todo single batches?